The January Virtual Light Broadcast offers welcome hope and inspiration as we enter 2018 and humanity continues to move from separation into unity. In segment 1, Steve and The group explore how the changes on planet Earth will be occurring with the wind at our backs more than ever before. The mission to empower ourselves and others means it’s time for us to step up, let our voices be heard, continue to look for the good all around us–and enjoy the journey. Steve and The group bring something new in Segment 2: No More Secrets, as all around the planet new information is coming out: about long-hidden child abuse in Australia’s government and the Church; how you can help keep the Internet free and open, despite the mysterious 2 million last-minute responders (some of whom were dead; how did that happen?!) to the FCC’s vote to repeal net neutrality; how Einstein’s 1912 prediction has now been confirmed about an asteroid passing earth that can help counteract the fear and separation we’ve been experiencing. No More Secrets means it’s time to celebrate! Then, Meg Adamson returns to VLB with reflections on the winter solstice as a time to take space for yourself and decide what to bring into the next year: what drives you? or what guides you? Meg explains the difference between the two and how to use this opportunity to change your life in a way that feels easy and graceful, so that you can move into the new year filled with faith and purpose. Good News from Chris Morris can be found in Segment 3, who applauds the “Silence Breakers” who became Time Magazine’s Persons of the Year as they catapulted the #metoo movement against sexual assault and harassment onto front pages around the world. Chris also has exciting news about the effort to create a new model of masculinity; how sound frequencies can kill cancer cells; why graphene could be a “miracle material,” as a potential source of clean, limitless energy; and, finally, the Threshold Choir, Lightmasters of the Month, whose 150 chapters of singers in the UK, US, and Canada bring comfort and reassurance–for free–to those making their transition. In Segment 4, Amor’s story continues, as he gets his first job as a healer, and learns of the importance of “taking a break” every 3 years. Segment 5 answers questions about a brother on the West Coast who could use some help from a long-estranged sister; how to improve a love relationship by creating a “three-legged stool” to support it; how to time a move from where you are to where you want to be; ways to create “conscious contracts” in your life once the old ones are complete; and what economic changes in 2018 might mean for your retirement investing. And finally, in Segment 6, from Steve and The group: Merlia offers guidance on how the rise of feminine energy can avoid a potential backlash, as humanity learns to see from a different perspective and trust the feminine voice. Many women will begin moving into power and into government, with major changes toward the end of the year. In 2018 it’s time to remember we are moving at the speed of love, as we consciously create and ground harmony into a new, higher reality. The VirtualLight Broadcast Live three hour monthly internet broadcast on Lightworker TV. 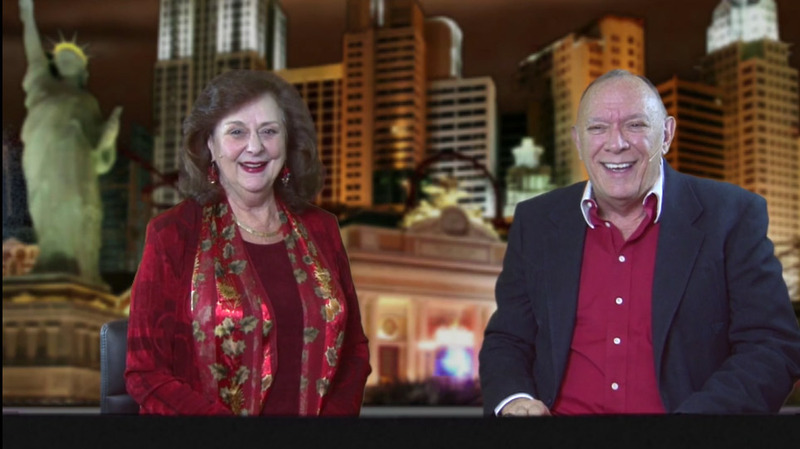 The broadcast is in six segments, hosted by Steve and Barbara Rother of www.Espavo.org and www.Paths2Empowerment.com. Steve and Barbara welcome everyone and the Scientist if the Heart brings in the first channel of the day. He talked about being pushed in the time line and how an asteroid passing Earth this very day is helping to counteract the original push. New segment NO MORE SECRETS from Steve talks about 4 important issues being revealed in today’s world. Australia’s commission on child sexual abuse. The US FCC attempts to overturn Net Neutrality against public demand. Google and NASA take AI into space to find other solar systems like ours. Today’s 3 mile wide asteroid passing Earth on this day. Meg Adamson returns to the VLB with her message about :” What Guides You vs What Drive You. Segment 3 of the Spiritcast is the GOOD NEWS from Chris Morris. Chris talks about beauty and how to find it in your life. New uses for the new miracle material graphine and how it can change our world as a battery that never need recharging. The “Me Too” movement. Studies on how hugging your child makes a lasting imprint. The 11th harmonic used to dissolve cancer cells. LightMaster of the month is the Threshold Choir helping people transition with their voices. In this segment Steve channels the group to tell a new Amor story. Amor is a young boy coming of age in the times of Lemuria. Today They tell the story of Amor taking his first job as an active member of society. He learns of the honored customs of a sacred society. In this segment Steve and Barbara take call ins from live viewers. Steve does his 2 minute readings. Segment 6 of the VLB is the final of three channels from the group. Here Merlia comes in and offers a message of hope and vision for the future. Each segment is 25 minutes long You are free to distribute this information in any form with the understanding that all copyrights including translation copyrights remain with Lightworker. We only ask that you do not market it directly. If you like a segment feel free to place it on your own site you can write to us for the embed code for your own site. Write to the Producer of the VirtualLight Broadcast for details. This is offered as a family connection from Lightworker. Copyright 1996-2017 Espavo. The files on this page are copyrighted but may be freely disseminated, in whole or in part, provided Espavo is given credit and espavo.org is mentioned. Websites are encouraged to use or link to these files, permission is not needed, but we appreciate being notified. Further information from the group may be found at: www.Espavo.org and www.Paths2Empowerment.com or through Espavo at (702) 871 3317. Espavo is a non-profit organization dedicated to spreading Light through empowerment.